Originally called Puerto Las Peñas, Puerto Vallarta lies on the Jalisco side of the Bay of Banderas, on Mexico’s pacific coast. Its bearings being: 20º 39´ 09´´N and 105º 14´ 30´´W. The bay’s limits are Punta Mita on the north and Cabo Corrientes on the south. At the bay’s northwest there are reefs and islands, such as La Corbeteña and the Marietas Islands, whose protected areas and mild tides make them a natural shelter for vessels. Puerto Vallarta is located at the center of the bay and its natural richness makes it stand out as an international destination for a wide array of activities, among them, leisure activities and weddings. Among our Western Sierra Madre mountains, covered with an endless diversity of lush vegetation, agitated rivers and streams pouring into cascades and waterfalls, protected estuaries; a deep ocean and a coastline of balmy beaches make it one of the largest and most beautiful bays in the planet, the Bay of Banderas, with its great biodiversity, is one of Latin America’s most impacting places. The region is a shelter for an impressing variety of birds, terrestrial and marine species, that make it the most special natural meeting spot in Mexico, and where, no doubt, the perfect wedding place can be found. 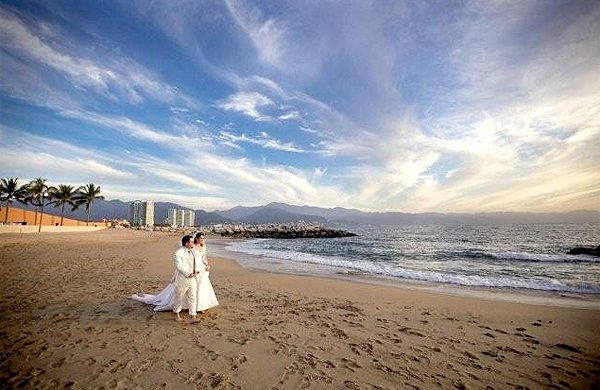 One of the most significant facts why Puerto Vallarta is Mexico’s wedding paradise is its wedding spaces and venues. There is a wide offer to choose from; to facilitate your choice we will divide them in two categories: Indoor and Outdoor Spaces. A huge variety of indoor spaces are available, (especially to celebrate weddings in the summer months of hot and rainy weather) with the comfort of a controlled environment and temperature. World-Class and Five-Star Hotels offer the most suitable venues; their glamour and facilities will surely become the icing on the cake. This can be the ideal option while knowing that all details of the wedding will be delivered with the expected luxury and detail. The right number of guests in the right ballroom, the décor theme and the menu, will play leading roles captivating the most demanding guests. Some exclusive Hacienda-Style Villas or Boutique Hotels offer other very sought up options. The décor in some of these venues transport bride and groom and guests to days gone by and the views fascinate them with spectacular-romantic bay views rendering all breathless. When you have a select and limited number of guests and wish to share as much as possible time with them, this is the perfect option. Even among the comfort and modernity of enclosed spaces, Vallarta embraces you with its charming rural atmosphere created by those who serve and care to see that all goes as per the newlyweds’ expectations. 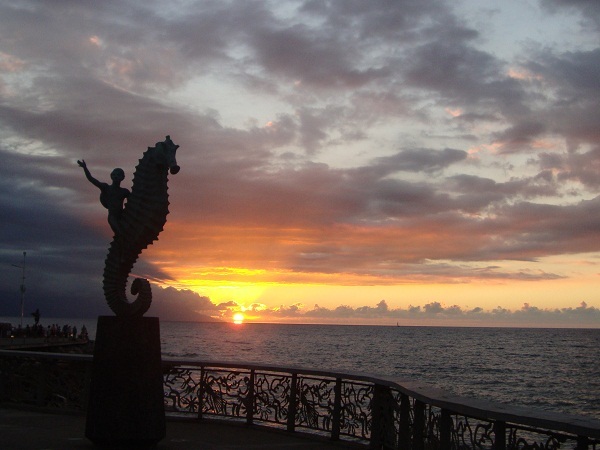 It is outdoor spaces that make Puerto Vallarta a unique place in Mexico. The natural background of the Sierra Madre Mountains sheltering the town and bay. The luxuriant vegetation. The refreshing scent of the murmuring sea. The unequalled pleasant climate. The romantic and eclectic art exhibits. The vibrant dawns and embracing sunsets. The bright and colorful array of flowers decorating the city. The renewed infrastructure and, above all… the hospitality of its people, has made it Mexico’s Wedding Paradise. When choosing an outdoor space, first and foremost, you have to take into account the time of the year, then, determine that you want a beach or a venue that may have a partial view of the bay, rivers or mountains, or why not, amidst a spectacular golf course, or on a vessel sailing the bay area. There are those on the beach and there are those with panoramic, spectacular views of the Bay Area. There are some at the gulches of the downtown Cuale River; others on the mountainside, overlooking the sea and others on the surrounding countryside. One of their main attributes is having personnel that are highly specialized on weddings preparations as well as a great variety of menus that can be customized to suit specific themes, no matter how exotic they may be. Some of the wedding-specialized restaurants have re-designed areas for this purpose and now feature terraces and private areas that can be transformed into whatever the bride and groom’s whim may be. Most of those on the beachfront have jetties that make it look like the wedding is being celebrated in the middle of the sea, this can be phenomenal! Others offer wide and elegant terraces and gardens expressly made to perform ceremonies and celebrations in intimate privacy. Like no other space, a Villa offers the marvelous experience of belonging to the whole of the wedding. The rocky and mountainous south shore surrounded by thick vegetation offers some spectacular, dreamy options to carry out a wedding of unimaginable extents. 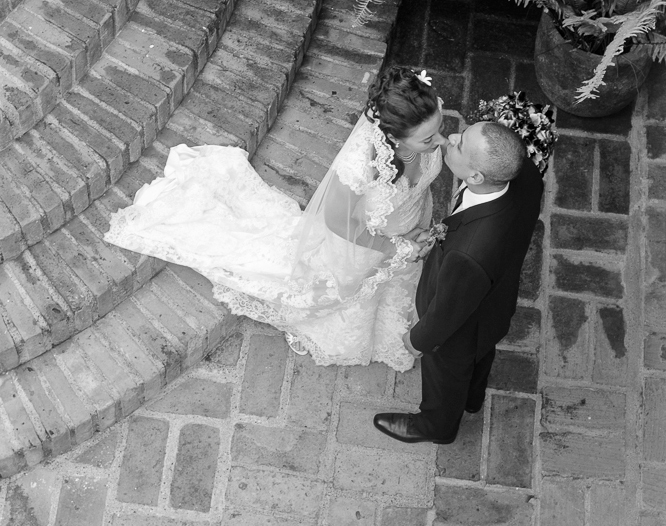 Their colonial flavor makes these venues the ideal location to carry out the most romantic projects imaginable! Wide cobblestone walkways and aromatic gardens are simply captivating. If you want to add a special and colorful elegance, you may venture into the sierra and celebrate a wedding in a hacienda located in Las Palmas, San Sebastián del Oeste or Mascota, older picturesque villages located amidst the mountains; rich in history and an architecture of times gone by, a scenery for a fascinating wedding in every sense. This is simply a phenomenal option, especially when you hire a yacht or sailing vessel of a distinct size and elegance, most recommendable for intimate and glammourus celebrations. Boats are the perfect moving surface allowing you to carry on a wedding with a view of the sea or the city or whatever pleases the newlyweds and their guests best. A dynamic fiesta with awesome changing scenarios! According to Puerto Vallarta’s Visitors and Conventions Bureau, México holds the 5º place among the favorite wedding destinations. 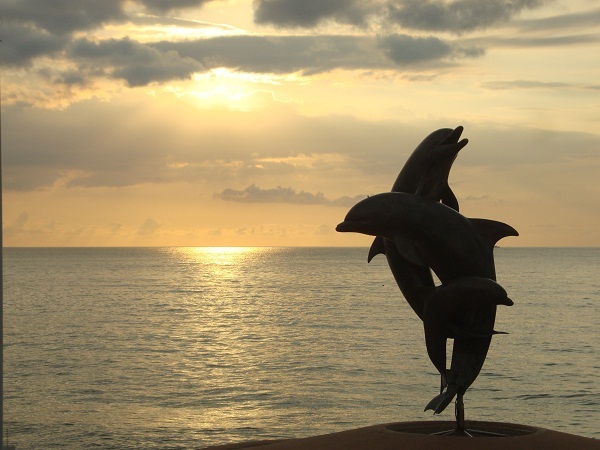 No doubt Puerto Vallarta’s natural environment makes it not only Mexico’s wedding paradise, but the most romantic as well! 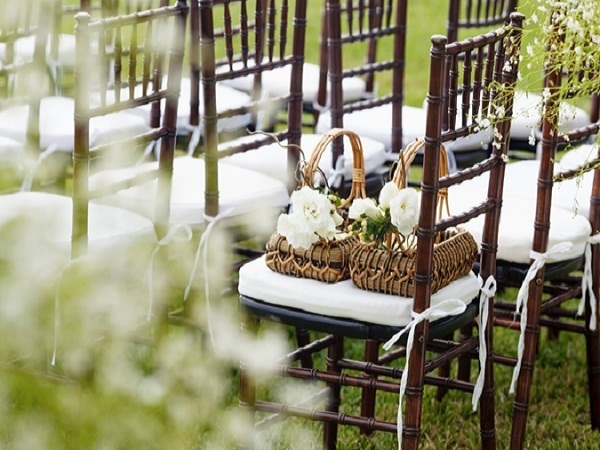 It is of utmost importance to know that besides choosing a restaurant, hotel, villa, an open air or enclosed facility, hacienda, garden or vessel; the coordination and development of a wedding takes up an extensive and detailed undertaking by specialists whose experience will place everything in its right time and place as per the newlyweds’ desires and agreed budget. Moreover – of course – to take care of all minor items bride and groom and guests need to to feel all their needs are being cared for while staying in Vallarta. In our next article we will offer a breakdown of a wide array of services though which the future newlyweds will obtain all they require so that their wedding results just as they planned it, or better yet!